News and views from around the Melbury team. Explore with our speakers the Impact their Christian faith has had in their lives. February is a challenging month in the country. Winter country sports are coming to an end, those who can, escape to find a warmer climate and the countryside is still in transition between the depths of winter and the daffodil laden spring. 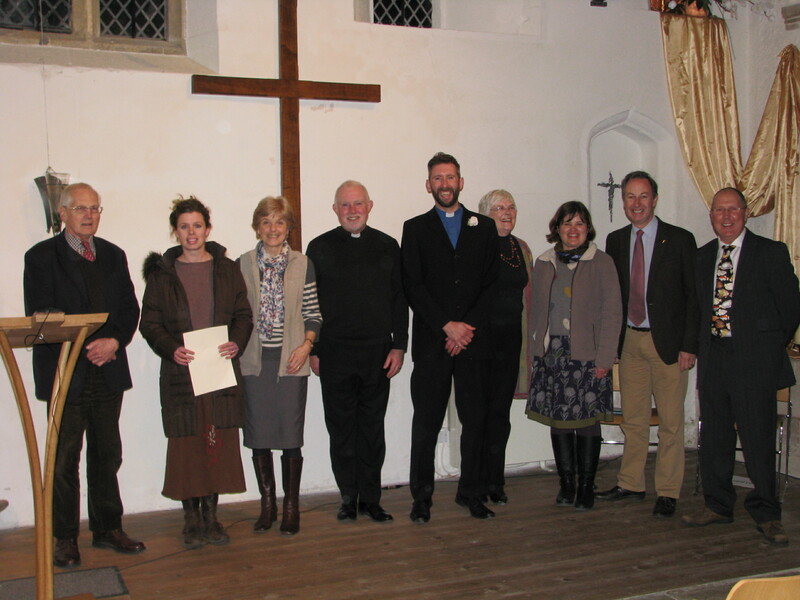 Within the Melbury team there is an expectation of new things with the anticipated appointment of a new rector at the end of the month. Our prayers have continued that the person of God’s choosing will emerge this month. The possibility of change is one of the draws of the Christian faith. We all carry baggage of one sort or another but the prospect of an encounter with Christ and being helped to find a more purposeful direction in which to lead our lives is attractive to many. The church may be struggling numerically in the west but in Africa, South America and the Far East it is blossoming. Many of Jesus’ encounters are recorded in the Bible. People who society disregarded were particularly targetted by Jesus. A woman known to have been wronged, was drawing water at a well when she met Jesus. That meeting gave Jesus an opportunity to talk with her about water that could satisfy and never be exhausted. It was a turning point in Jesus’ ministry as he crossed boundaries of gender, social mores and injustice. A book I was given this Christmas challenged me to discard the barrier of a hollow religion and a distant God. Instead it encouraged me to encounter the Christ and to radically restore my relationship with him. In that encounter we can all enjoy the worship of him who loves us as his children and be part of the awakening of his church. Whilst the countryside slumbers through February we know there will be a glorious awakening as spring emerges. Can we translate that guaranteed seasonal transition into a spiritual experience this year as we encounter Jesus in a new and life changing way. If you would like to explore such an encounter why not join us at a Ladies Impact lunch, or a Men’s breakfast or join the men in the Fox in Corscombe on a Wednesday evening. Ash Wednesday falls on 10th characteristic notes of Lent are self-examination, penitence, self-denial, study, and preparation for Easter. Linda Wilcock and Janet Danks will guide us on our journey with ‘The Power of Small Choices’; “Within our humdrum lives lie a million small choices – any one of which could have huge consequences for ourselves, for those around us, and for the world”. Why is the December service grid as jam-packed as a Christmas stocking? Fashion brand Mulberry would have us think it’s all about a red handbag worshipped by shepherds and wise men! Just 12% of adults know the nativity story and more than 1/3 of children don’t know whose birthday it is. Meanwhile, 51% of people now say the birth of Jesus is irrelevant to their Christmas. Come and enjoy an informal lunch with old and new friends Explore with our speakers the Impact their Christian faith has had in their lives. This month we begin a new pattern of services across the benefice. Graham, our outgoing rector set the ball in motion and successive rectors have suggested similar changes. We now have an opportunity to change the way we worship as we prepare for a new rector to join us next year. Our archdeacon has reminded us of the current difficulties of recruiting to multiple parish benefices across the diocese and has supported the proposed changes in the Melbury team. Graham Perryman will be licensed as Priest-in-charge of the Upper Stour Parish on Wednesday 22nd July at 7pm. The service will be held at St. George’s, Bourton (SP8 5BW), off the A303, just past Wincanton. Some invitations have been issued, but this is a public service, and all are welcome. Graham & Jackie would love to see some familiar faces in this new setting, and refreshments will be served afterwards in the school next door, where there are also ‘the necessary facilities’. In a sporting calendar bursting with motion : Wimbledon; the Tour de France; Silverstone; the Ashes; the St.Andrew’s Open and the Special Olympics (“Through the power of sports, people with intellectual disabilities discover new strengths and abilities, skills and success”). In gardens brimming with flowers, foliage & new growth; fruit trees & shrubs heavy with raspberries, strawberries, currants & cherries. Step into a Melbury Church and you will discover a cornucopia of fruit to feed us in running the race of life. En route to a week’s Retreat in Hacienda Los Olivos, Vicky & I few in to Malaga, birthplace of Pablo Picasso. This Spanish painter, sculptor, poet & playwright is eminently quotable. For instance, “Every act of creation is frst an act of destruction”. If you know your Enneagram (a model for helping our awareness of both the positive & negative aspects of ourselves), Picasso might appear as a ‘Type-8’ – assertive; strong; challenging. “Eights are self-reliant and take control of steering ships that have gone of course” (Taylor & Williams). Thank you too for the many kind messages and cards that we have received since it was announced that I am leaving. They remind me what a wonderful place this is to live and minster, what a privilege it has been to serve you for these last 11 years, and how much we shall miss you. On Palm Sunday the Archdeacon, Paul Taylor, explained the process for finding a new Team Rector, which is likely to be quite lengthy. This is first time we have had to advertsie for an external candidate for 15 years. What do I do next? What do I do now? How do I go about doing it? These are all questions we ask ourselves when we set out to complete a task. This is further complicated by when we are being mindful of others, if I do X, how will it affect my neighbour, friends and community. On April 20th at 6.30 pm in St. Mary’s Maiden Newton, you will have the opportunity to meet and hear candidates for this constituency at the General Election. We have invited the candidates from the five main parties – Conservative, Green, Labour, Liberal Democrat and United Kingdom Independence Party. The meeting will be chaired by the Archdeacon, Ven Paul Taylor, and will take the form of Question Time. If you have a question that you would like to ask the candidates, please email it to revgfp@btopenworld.com and we will choose a representative selection of the questions. The Questor – Story of stories – Destiny! After three years of travelling around northern Galilee and neighbouring areas, teaching and healing, Jesus had done all he could. The work was complete. He had demonstrated the awesome power of God through the miracles he had performed. And he had taught the people and his disciples all he could about the nature of God and what he expects of all of us. He will be Mission Theologian in the Anglican Communion as part of Partnership for Publishing New Voices. The Archbishop of Canterbury, the Church Mission Society and Durham University have become partners in creating an innovative seven year post: Mission Theologian in the Anglican Communion. The first postholder will be our own Bishop of Sherborne, the Right Revd Dr Graham Kings. From the time we wake up to the time we go to sleep – we have to make decisions. They may be straightforward, like which shirt to wear, or more complex, like whether to apply for a new job. Some people make decisions rapidly while others take time. Just look in a Supermarket – there are all types pf shoppers! Easter is the most important Christian festival in the year, although it is often overshadowed by Christmas. The opportunity to recall that last week of Jesus’ life, and to walk with Him from Palm Sunday to Easter Sunday is a once-a-year privilege. It reminds us of the price God paid to bring us to Him, and encourages us to renew our faith in our risen Lord. You will find details of the Holy Week services elsewhere in this magazine. You will be warmly welcomed at all services, and we look forward to seeing you.